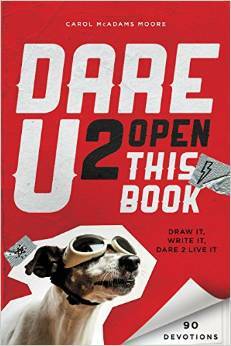 This weekend on ChristianChildrensAuthors.com I’m reviewing Dare U 2 Open This Book and Just Sayin’ by Carol McAdams Moore. These books have such a great look, inside and out! And the content is even better! Learn more here. 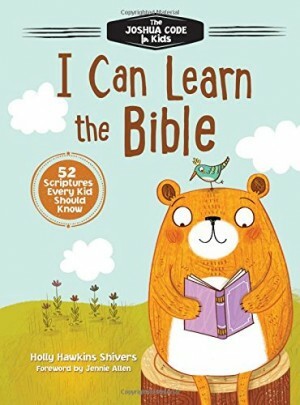 The subtitle clinched it: 52 Scriptures Every Kid Should Know. I want kids to know God’s Word! So a book to help with that and with such a great contemporary look–this one had to be my choice for November. One thing I really like about this book is that it’s a guide for parents. If you’re not sure how to go about helping your children understand or memorize Scripture, this book can help you learn how. This book is designed for parents and children to read together. Questions and fill-in-the-blank statements throughout the text will help prompt discussion. Each week’s devotion has a key verse to meditate on and commit to memory. At the back of the book is a list of 12 different ways to memorize Scripture. Author Holly Hawkins Shivers created the book as a adaptation of her father’s book The Joshua Code: 52 Scripture Verses Every Believer Should Know. The Bible verses in each book are the same. There’s quite a variety, and not every passage will be right for every child at a particular time. Some parental discernment is needed–does your child need to learn more about God’s love, presence, and provision, or is he ready to begin to consider choosing to follow Jesus as Savior? But because there’s variety and because the devotional and discussion aspects are so strong, this is still a wonderful book to add to your family’s library and to use to focus on God’s Word throughout the week, all year long! As parents, we want our children to learn about the Lord and know His Word. What a joy it is to watch them begin to understand God’s Word, speak it from memory, and be transformed as it becomes a part of them! It’s our job to equip them for life, to prepare them for whatever lies ahead. The words of God’s truth they hide in their hearts will be with them forever–a source of guidance, comfort, and spiritual nourishment no matter where they go. Read about the books I bought for January, February, March, April, May, June, July, August, September, and October. Esther’s actions impacted not just the Persian kingdom but the kingdom of God, saving the Jews from extinction. 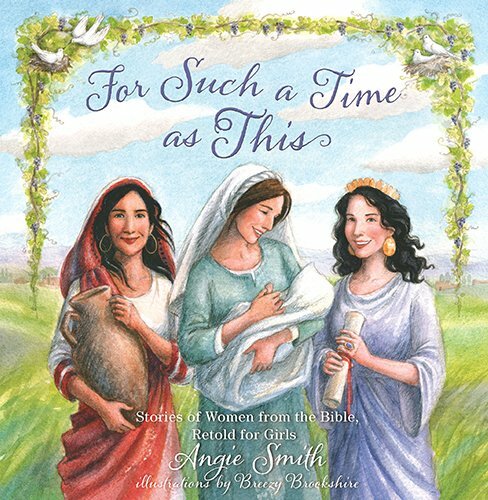 Author Angie Smith wants today’s girls to know that they too have a purpose and calling in God’s kingdom—and that the stories in Scripture show us this is true. Although told from a narrator’s point of view instead of more directly through the eyes of the women in the stories, readers still experience the forty stories in the book, for the most part, as the stories of the women who lived them. Some stories, such as the story of Mary and Martha, are traditionally told this way. But others—such as the story of Jacob—often are not. One thing I like about the storytelling in this book is that the author never downplays the significance of the men in the stories as she explores and shines a light on the experiences of the women in the same stories. Take, for example, the story of Jacob and his wives, Rachel and Leah. She had no idea that her praise was offered to the same Lord who would, many years later, come to earth as a baby from the same family of Judah. As she rocked her song into the midnight hours, she may have wondered if she would ever be chosen. You already have been, Love. But all of the women in these stories aren’t rocking babies! Some, like Jael, are pounding tent pegs through an enemy’s skull. Others, like Delilah, are scheming and deceiving for pay. Yet every story is told with carefully chosen words, appropriate for the book’s audience (probably the 6-10 or 8-12 age groups), and the significance of the event and its part in God’s plan are always communicated. The forty stories in the book begin with Eve in the garden and end with Priscilla working and teaching in the fledgling church. Each story ends with a devotional in three sections—He, Me, She—that provides a reminder about God’s goodness, an application takeaway for girls, and a prayer parents can offer for their daughters. There’s a Hebrew or Greek word to learn and a memory verse with each story too. The book is highly illustrated by Breezy Brookshire in a traditional style in both color and black and white. Parents will appreciate the B&H Kids Parent Connection page, and parents and girls will enjoy the extras at the back of the book: “A Peek Behind the Scenes” by Angie and “From Concept to Illustration” by Breezy. This beautiful storybook is well worth adding to your family’s collection if you’ve got girls! Children love to receive mail. So why not a book filled with “mail” just for them–from God? First, I have to say that I really did buy this book. I also received a review copy from the publisher. So we’re going to have a giveaway! More about that at the end of the post. 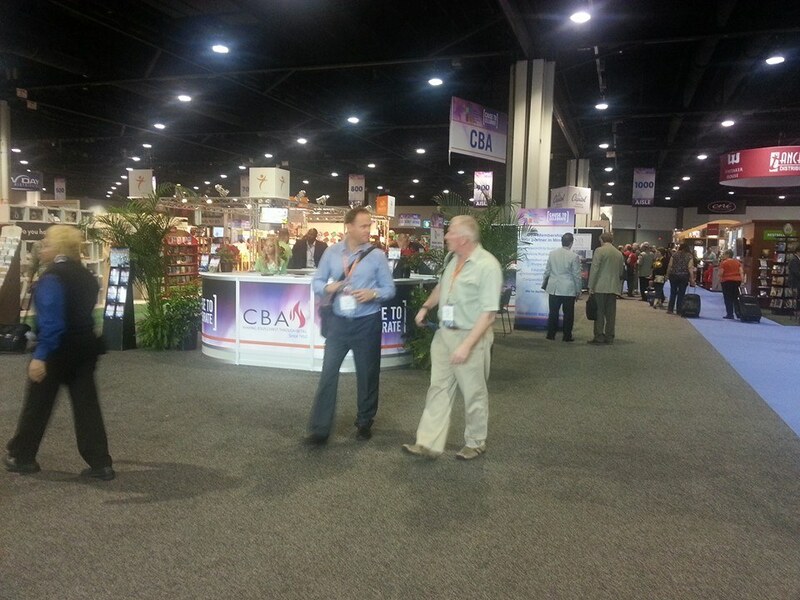 I first saw this book at the International Christian Retail Show in June. Well, I saw proofs. And from then on I was looking forward to seeing the actual book. And the actual book does not disappoint. It’s beautifully designed and illustrated, with spot varnish on the dust jacket and the interior that makes the colors pop. The book has 40 pages rather than the customary 32 for a picture book, and the paper stock is almost greeting-card weight. Lift-the-flap “love letters” provide even more bulk. The book is a delight to hold and read. He made mighty mountains and silver seas. He made green grass and tall trees. He made leopards that leap and eagles that soar. He made bees that buzz and lions that roar. Now David and Goliath were very different. David was small; Goliath was huge. David was quiet; Goliath was noisy. David was kind; Goliath was mean. David sang like a bird; Goliath roared like a lion. David ate porridge for breakfast; Goliath ate squirrels. 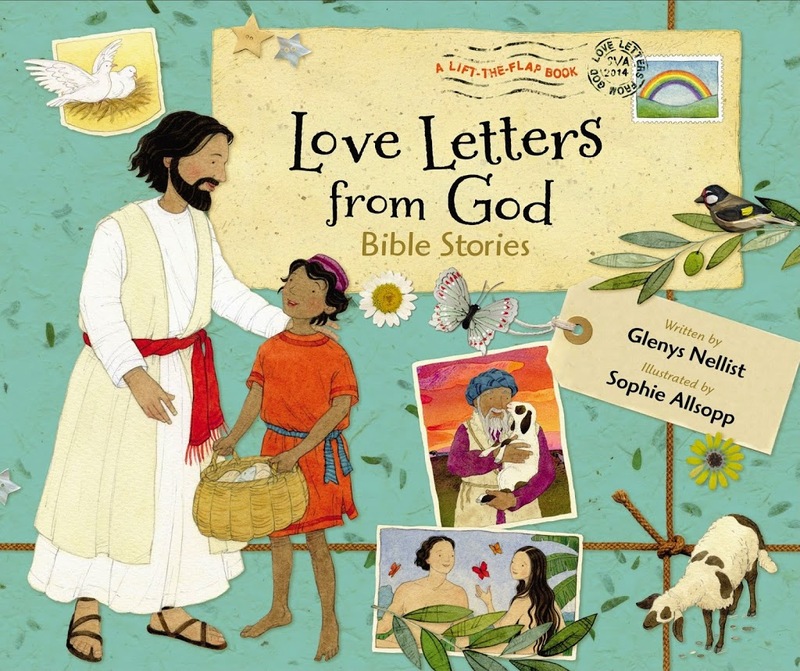 Children will enjoy lifting the flaps to open “Your Love Letter from God” with every story, and parents will appreciate how each letter expands the message of the Bible story, reminding children of God’s ever-present love and care and concern for them. The Bible verse with each story, “God’s Wonderful Words to You,” does the same. It’s often necessary to leave out details of some Bible stories when telling them to young children, but some of the stories in Love Letters from God add or change details more than I’m comfortable with. Still, the message of God’s love for us comes through so clearly and strong that I’m happy to recommend this book. Now for the giveaway! It starts Monday September 22 at 6 a.m. and runs until midnight September 29. Entering is easy; just use the form below. Throughout 2014 I’m buying a book a month to support retailers and other authors. Read about the books I bought for January, February, March, April, May, June, July, and August. Here in Cincinnati where I live, summer weather (read that “hot and sticky”) didn’t truly arrive until last week … just as many children were starting back to school. Generally speaking, I love fall. But fall means winter’s coming … and I don’t love winter. So I’d rather keep summer going for as long as I can. 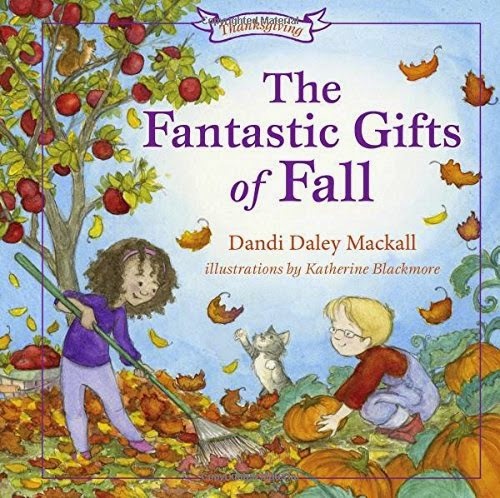 But finding this new picture book by Dandi Daley Mackall, published by B&H Kids, did help me anticipate fall a wee bit more. And it’s a wonderful book for celebrating God’s gift of the fall season with your children. 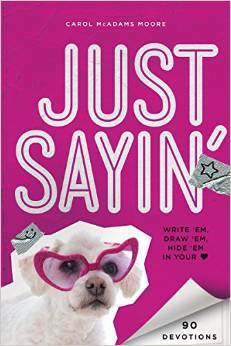 The brief rhyming text moves quickly and features a repeated refrain in the last line on each two-page spread. You made everything I see. Thank You, God, for autumn. Even if your area of the country doesn’t experience trees changing color or piles of fallen leaves, children will enjoy seeing fall a different way in charming illustrations by Katherine Blackmore. Family come from miles away. Don’t eat yet–it’s time to pray. At the back of the book, Parent Connection pages provide ideas, questions, and activities for expanding the give-God-thanks emphasis of the book. And related Bible verses throughout the book give families more to explore together. Read about the books I bought for January, February, March, April, May, June, and July. With two little grandsons toddling around my house a lot earlier this month, I’ve been thinking about the books they like and the importance of enjoyable books that reinforce values and activities we want our children or grandchildren to learn and do. 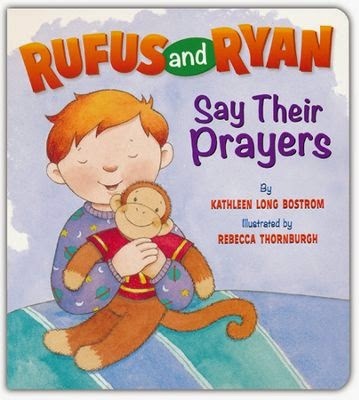 So when I went looking for a book to buy for July, I zeroed in pretty quickly on Rufus and Ryan Say Their Prayers by Kathleen Long Bostrom, illustrated by Rebecca Thornburgh. The colorful 20-page board book is part of a new series published by CandyCane Press, an imprint of Ideals Publications. Other books in the series are Rufus and Ryan Go to Church, Rufus and Ryan Give Thanks, and Rufus and Ryan Celebrate Easter. 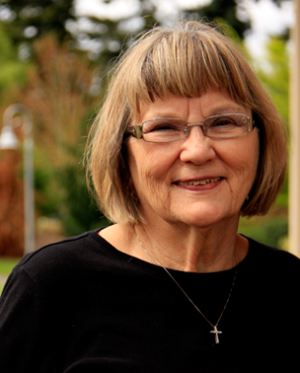 Kathleen is the author of the popular Little Blessings series, published by Tyndale, which covers a lot of basic theological ground while charming preschoolers and their parents with adorable illustrations. Ryan and his stuffed-animal friend Rufus go everywhere together. Their stories reflect simple and familiar activities many preschoolers know well–going to church, finding things to be thankful for on a rainy day, celebrating holidays, and saying bedtime prayers. “Rufus, it’s time for bed!” says Ryan. “Let’s say our prayers,” says Ryan. Ryan bows his head and closes his eyes. “Hi, God! It’s me, Ryan. I like this series because it understands a child’s world and perspective and helps families underscore the importance of faith-building activities without getting preachy. I do wish Rufus and Ryan Go to Church included going to a Sunday school class, not just a worship service, since in many congregations preschoolers don’t attend the adult worship time. But I like the community of Sunday-go-to-church time that the book captures! Read about the books I bought for January, February, March, April, May, and June. National Grandparents Day this year is September 7. If you haven’t heard of it, well, neither had I! There’s nothing wrong with celebrating and honoring grandparents, of course, especially given the considerable number of grandparents raising grandchildren in the US–more than 2.5 million, according to the AARP. And there are millions of others, I’m certain, who contribute to the well-being of their grandchildren in countless other ways, big and small–giving of their time, energy, financial resources, and wisdom to create strong bonds with their grandkids, enhance their development, and create a lasting legacy. But some grandparents prefer to make National Grandparents Day a day of prayer–the Grandparents Day of Prayer–praying not for themselves but for their families and especially their grandchildren. And they are inviting you to join them. Today our nation is being attacked like never before educationally, socially, financially, and spiritually. Christianity itself is under assault, and as a result, our grandchildren are living in a desperate moral and spiritual climate, navigating in a world hostile to truth. Parents and grandparents are involved in a tug of war for the hearts and minds of their children. Perhaps at no other time in our history is a call to prayer more needed. Many years ago, Queen Esther stood in the gap for her people, the Jews, when their physical lives were threatened. In our day, grandparents can stand in the gap for the spiritual lives of their grandchildren. Do you share Lillian’s concern? I know I do. 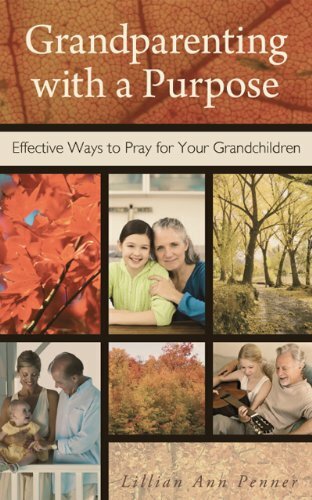 Grandparents who believe in the power of prayer can pray their grandchildren will not become casualties from falling captive to the enemy’s deception. We are engaged in a spiritual battle that requires prayer as the weapon. As grandparents, we have an opportunity to imprint another generation with His love and faithfulness. When Nehemiah faced opposition in building the wall in Jerusalem, he told the people, “Don’t be afraid of them, Remember the Lord, who is great and awesome, and fight for your brothers, sons, and your daughters, your wives and your homes” (Nehemiah 4:14). Just as Nehemiah asked the people to fight for their families, we as grandparents need to use our prayers to fight the opposition from the enemy that our grandchildren face today. We need to pray more often than on one special day, of course. But this September 7 can be a powerful time to join with other praying grandparents and encourage you to pray faithfully throughout the year. In addition, the Christian Grandparenting Network is looking for volunteers to take the lead to organize a local event, calling grandparents to join in prayer on September 7. This event could be in your church, in your home, in a retirement complex, or any meeting location you choose. CGN will provide step-by-step guidelines, resources, and online tools to help you create a successful event that will engage grandparents in prayer together. Will you accept the challenge to join grandparents throughout the world to unite in prayer on September 7 for their grandchildren? Just like my grandkids, your grandkids–and all grandkids–are worth it! Check the CGN website for blog posts, endorsements, testimonials, promotional materials and free downloads. www.grandparentsdayofprayer.com. For additional information, contact Lillian Penner, CGN national prayer coordinator. Two devotional books for young children recently joined a Christmas picture book as 2014 award winners among Christian children’s books. 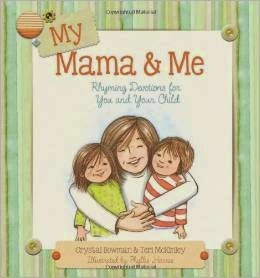 At the recent International Christian Retail Show in Atlanta, My Mama and Me by Crystal Bowman and Terri McKinley, illustrated by Phyllis Harris (Tyndale) won Children’s Picture Book of the Year, awarded by the Association of Logos Bookstores. 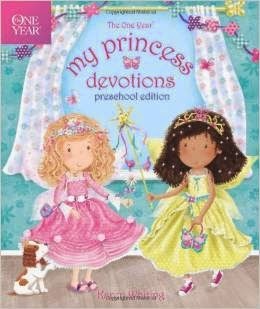 Also in Atlanta, The One-Year My Princess Devotions by Karen Whiting (Tyndale) received Christian Retailing magazine’s Best Award for children’s nonfiction. 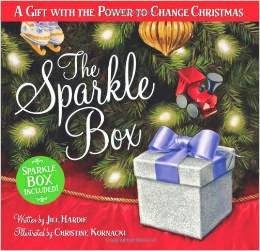 Earlier this year, the Evangelical Christian Publisher’s Association gave The Sparkle Box by Jill Hardie, illustrated by Christine Kornacki (Ideals) its Christian Book Award in the children’s category. Congratulations to each of these authors, illustrators, and publishers! This month’s pick is perfect for summer as you drive in the car with your little ones–around town to swim lessons and softball games or around the country on a family vacation. Music offers such a powerful way to get God’s Word into the hearts and minds of children–and all of us, really. You can listen to song samples here. 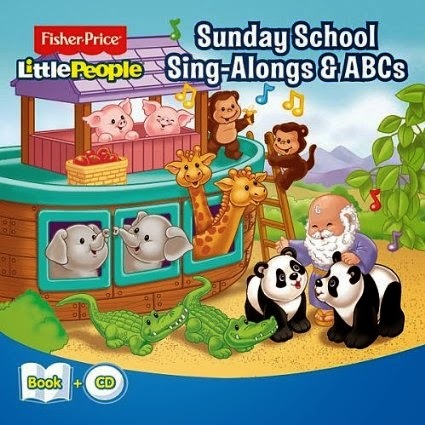 Just the right size for little hands, the alphabet board book helps kids recognize animals, their names, and the letters of the alphabet while it introduces the story of Noah’s ark. Read about the books I bought for January, February, March, April, and May.